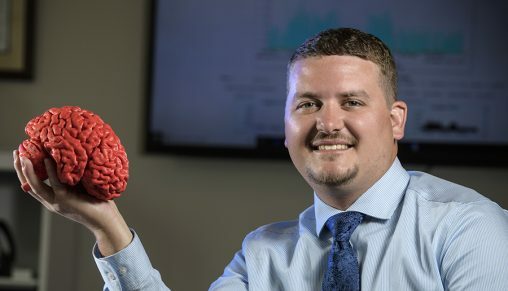 A Wright State University researcher has been awarded $501,000 from the U.S. Navy to study the physiological reaction to fatigue and reduced oxygen. Matthew Sherwood, a research engineer at the university, and his team will partner with the Naval Medical Research Unit in Dayton on the project. The combined effort is part of the Cerebral Hemodynamics Studies of Hypoxia and Fatigue. The half-million-dollar award from the Naval Medical Logistics Command includes $308,000 for the two-year fatigue study and $193,000 for the one-year hypoxia study.